Having first written about Brooklyn’s Elaine Lachica some thirteen years ago, it’s fascinating to gain an insight into the development of a musician. As a solo artist, Lachica immediately stood out with her impressive vocal range and inventive way with song creation but she did seem like a talent who needed a bit more focus, even if her most recent solo album 2009’s ‘I Think I Can See The Ocean’ was a gem. 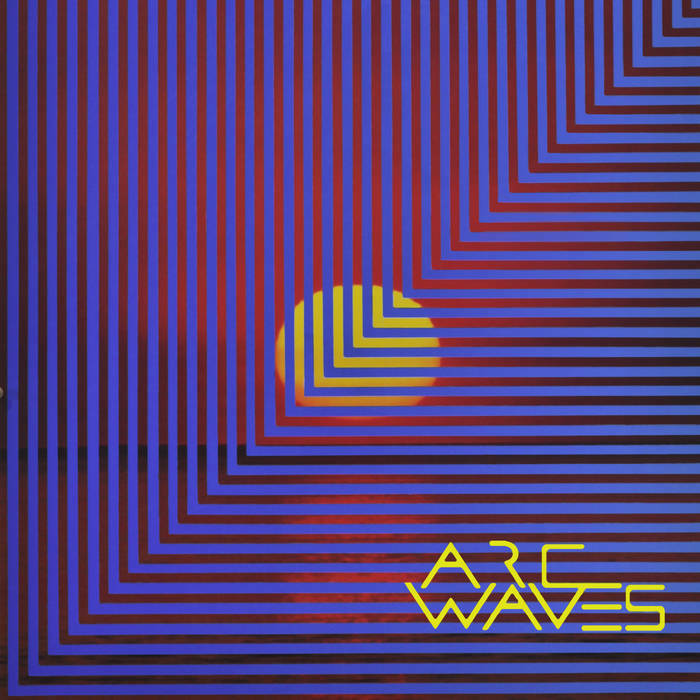 Arc Waves are a new band based fronted by the vocal talents of Lachica and – like her solo records – they’re not content to stick to one genre either. For opener ‘Half Dome’, Lachica’s ululations are kept in check by shoegaze-indebted guitars and nagging indie pop basslines. She is more controlled for a gentler but ‘Look Straight At Me’, which heads for the territory of dream pop heaven. On the strength of these first two tracks alone, Arc Waves are clearly a good match for each other; complimenting vocal originality with tight musicianship. For the straighter-edged reverb-heavy rock of ‘Cascades’, however, the band sound less interesting, with Lachica’s style somewhat at odds with the Interpol-like production. By the time of the final offering, ‘Galaxies’ the group have moved into ambient rock circles and it’s no exaggeration to say the group seem to be attempting a more danceable version of latter-day Cocteau Twins on this song and with some success too. This is an interesting move for Lachica after her somewhat wayward displays on previous albums. Perhaps the unity of working in a band gives her the solid structures she has been craving but importantly her individual talents are not compromised here either, even if sometimes the genre choice seems like an awkward fit. Minor quibbles aside then, all of this promises much for the debut album.